Over the past 18 years we have been fortunate to work with some of the best forestry, wildfire management and private land management agencies on the planet. This has resulted in a rich portfolio of successful projects, touching almost every subject area in forest development, wildfire protection, and land management. Whether it’s in the U.S., Canada, Spain, or Chile, our team has led the industry in the development of advanced GIS-enabled methods for a range of needs – including forest inventory analysis, fuels mapping, fire behavior analysis, simulation modeling, wildfire risk assessment and custom software applications development. 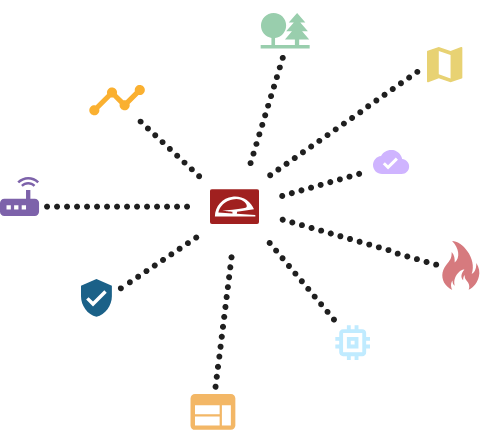 We specialize in putting analysis information to use – by encapsulating robust fire and forestry science into real-time operational applications – on the desktop, on the web and using mobile devices. 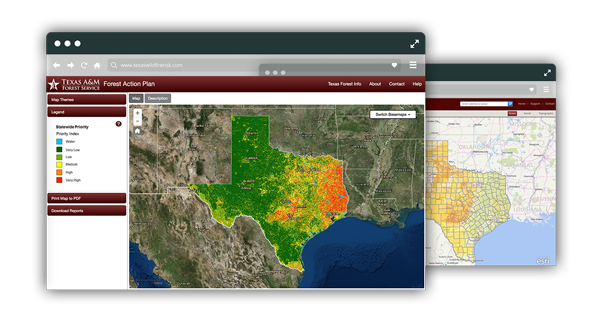 Solutions like the Texas Forest Information Portal demonstrate how we support state forestry agencies with implementing interactive web mapping applications that empower the use of analysis information for a range of different uses and purposes.